Call Martin 086-1736720 for more information. I’m re-starting another set of *Toning & Weight-Loss* Classes in Foxrock Parish Centre, Dublin 18, D18, close to Cabinteely Park. 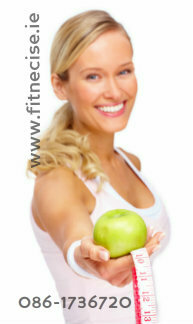 Join the “chatty and fit” girls to (1) Tone-Up (2) Get Fitter (3) Lose Weight ! • Class Level • All levels and beginners welcome ! close to Deansgrange, Cornelscourt, Cabinteely, Sandyford, Leopardstown, Stillorgan, Leopardstown, Carrickmines, Cabtinteely Park. 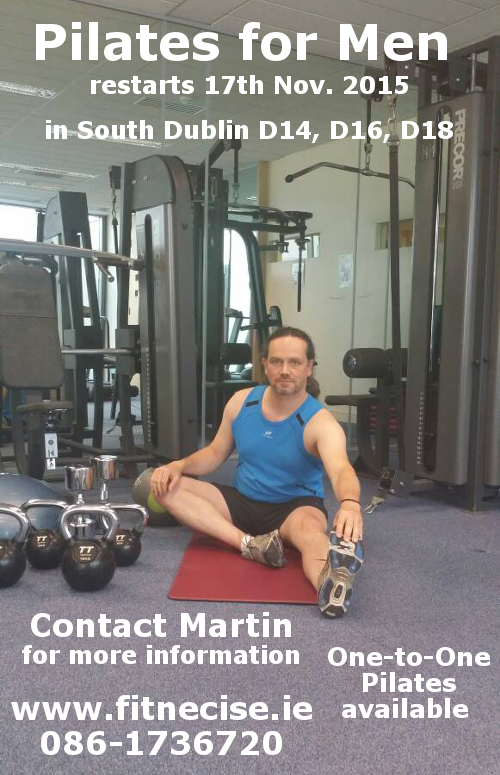 Contact Martin for bookings or more information. (1) All Levels – Beginners Welcome ! (2) Increase Core Strength – Prevent Injury – Improve Mobility & Flexibility – Boot Performance ! (3) Small classes 8-10 participants maximum. I. Tuesday 6pm – Men Only Pilates & Core Strength – Sandyford Community Centre, D18, Leopardstown close to Ticknock, Belarmine, Lambs Cross, Stepaside, Kilternan. Read more about the class content here. A New *Morning* Pilates Class (beside Marlay Park, Dublin 14 - Three Rock Rovers Hockey Club) will start end September 2015. 3. Pilates Class Level: Beginners to Mixed / Intermediate – all ages and levels welcome. 8. Booking: Book Online or contact us here. Beginners are welcome to join ! Call Martin for your class booking or more information. I’m going to start a new Mens Pilates Class – 24th September 2015. Pilates Classes are small to guarantee safety and allow you to learn proper technique to get most out of the classes. just a few minutes drive from Central Park, Leopardstown Industrial Estate. 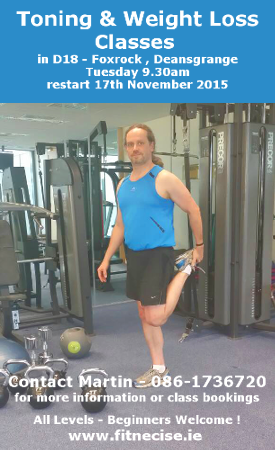 Read more about my Mens Pilates / Core Classes in South Dublin here. Beside Lambs Cross, close to Leopardstown Heights, Sandyford Hall, Belarmine, Stepaside, Ticknock, Carrickmines, Cabinteely, Foxrock. Find our full fitness class timetable here. NEW Class – Due to popular demand we decided to run a 3rd New Beginners Pilates Class in our Fitnecise Studio. 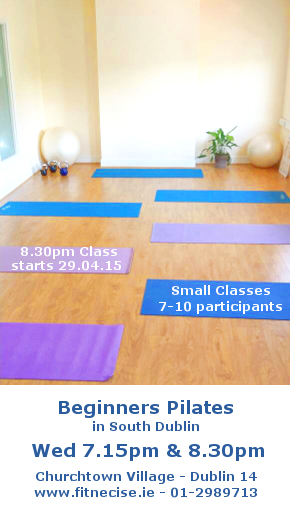 The New Pilates Class in Churchtown Village will start Wednesday Evening – 29th April 2015. Class Size: 7 participants max. to guarantee individual attention and the best outcome. Check our Pilates Class prices here. Feel free to book and pay online, 24/7 at a time that suits you. Get Leaner, Stronger and Fitter, because you deserve it. Join in before it’s too late. Join our *New – Morning Beginners Pilates Class next week 11am-12pm in South Dublin, D14. This Pilates class is for you if you haven’t done any Pilates before, it’s for complete Beginners. Please call or e-mail Martin or Eadaoin in the studio for bookings or with any further questions you might have. Just a quick reminder that we are starting a New Beginners Pilates Class on Wednesday evening. The class will be taught by Veronika, who teaches already a good few months in our South Dublin, Churchtown based studio. Check our full South Dublin – Pilates, Fitness and Kettlebell Class timetable here. 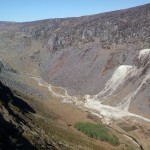 Call Martin or Eadaoin 086-1736720 for more information or e-mail us here. 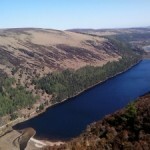 A BIG “Thank you” to all studio class participants and friends who came along last Saturday 18th April to Glendalough, especially to Grainne – our Guide and Hill Walking expert. 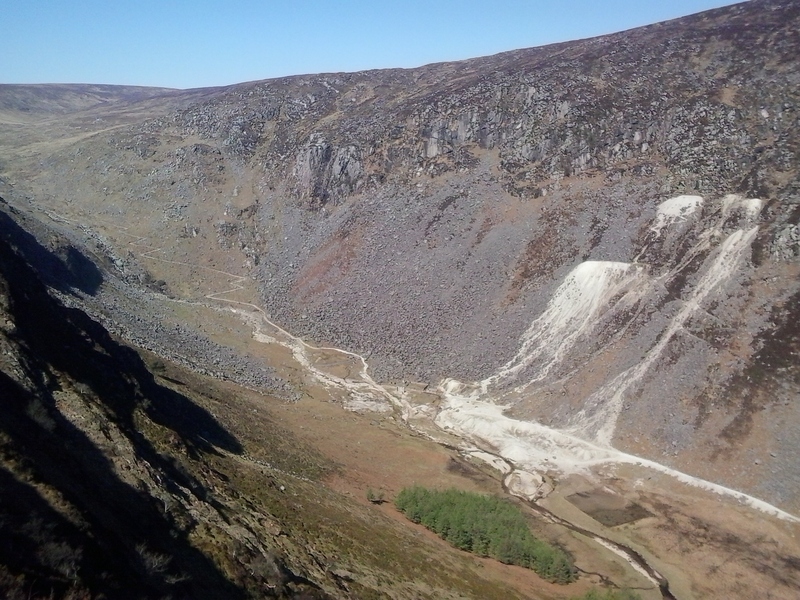 “Glendalough is a remarkable place that will still your mind, inspire your heart and fill your soul” – and it certainly did and much more! 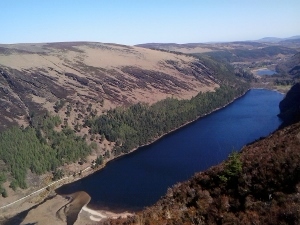 Our walk took us up to the top of the Spinc and the view overlooking the lakes was spectacular. 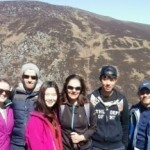 We completed our walk with a relaxing coffee and baileys in The Wicklow Heather. 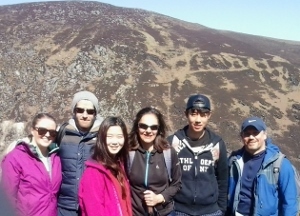 We all had a super day as you can see below, the sun was out, despite it being rather chilly up the mountains. We are looking forward already to our next outing in 4-5 weeks time. Keep an eye out in the “News section” of our website. Check our up-dated Fitness, Pilates and Kettlebell Class Timetable for our South Dublin based Fitnecise Studios. We are based in Churchtown Village, Dublin 14, just above Howard’s Way, beside SuperValu. Veronika will start teaching a *NEW Beginners Pilates Class on Wednesday 22nd April 2015. Contact us for more information or to book your place.